In this feature, we place flexible working under scrutiny by cracking its code on whether the policy is solely pro-employee; what holds employers back from taking the plunge; and how it would fit into the Hong Kong workplace. Two companies who are running flexible working policies – Chengbao and Philip Morris International – share their insights on their principles and practices, while two co-working spaces explain why are they are doing what they are doing. Medium-sized software development company Chengbao adopts flexible working hours and occasional work-from home into its people strategy. In theory, employees are expected to work at least 40 hour per week, and the core in-office working hours are between 11am and 5pm, including a lunch break. In practice, Chengbao extends its flexibility to execution. Managers do not question when their team decides to come or leave the office or takes sick leave. Under the flexible arrangement, team meetings, brainstorming sessions and decision-making processes occupy the majority of the time employees spend in the office. “We believe a company that values autonomy and provides flexibility around working hours creates a healthier and more productive environment for its employees,” says Xavier Vazquez, head of human resources at Chengbao. James Wong, people and culture projects lead at Philip Morris Asia, also agrees the positive butterfly effect of autonomy in businesses. The Hong Kong office of Philip Morris International, an American multinational cigarette and tobacco manufacturing company, employs around 350 front line and back-office workers. 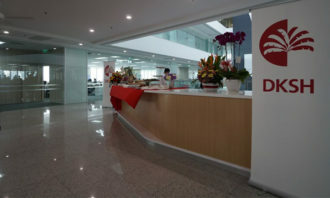 Wong further explains his company’s inclination towards a flexible workplace is a manifestation of the company’s belief. Philip Morris Asia values self-ownership and strives to act as a springboard to employees’ best selves. 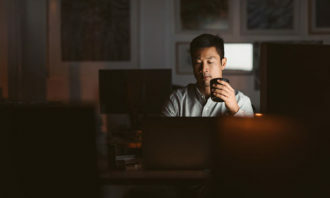 In mid 2018, the enterprise implemented a four-and-a-half-day workweek with flexible working hours and an option of telecommuting on Friday mornings upon a supervisor’s approval. The tobacco company also partnered with multiple insurance carriers and designed a flexible insurance package where employees can allocate their credits on life, medical, dental or maternity insurance according to their needs. All schemes are applicable to all levels of workers. Predictably, both Chengbao and Philip Morris Asia have not received any backlash against the arrangement from employees. On the employer’s end, Chengbao reports an increase in company morale, collaboration, employees’ energy, productivity and creativity and a reduction in absenteeism and tardiness, which has led to a lower turnover rate, better communication with overseas colleagues and business partners, and enhancing its attractiveness to talent. Nancy Yip, area director at IWG Hong Kong, explains that rapidly growing companies or multinational companies opt for co-working spaces due to their cost-effectiveness, facilities and their connection with the local community, while Thomas Hui, CEO at theDesk, echoes that it is the inclusive and diversified neighbourhood network that attracts companies to prompt their gig workers or local workers to perform their daily duties at shared work hubs. The vast amount of freedom given to employees has seemingly thrown the role of the management into disarray. The urge to stipulate certain conditions before implementation or to slowly manoeuvre employees back into traditional workplaces is therefore not groundless. the people who work within or are served by them” in the sociologist’s own words. 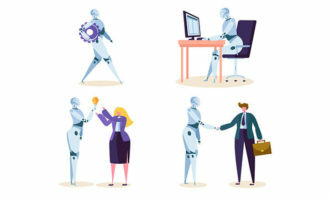 However, in the current age of constant transformation and unpredictability, imposing controls do not match with the job duties or traits of highly sought-after talent who are required to be flexible, innovative and creative. Coming back to flexible working in Hong Kong, both Vazquez and Wong pointed out trust as a key to success. At Chengbao, there are no particular assessment tactics after carrying out flexible working. The management concerns are about an individual’s contribution to their team and the company and job satisfaction, instead of the amount of time they spend at work. Hence, one-to-one meetings and performance feedback sessions are held. “Many companies in Hong Kong go far to control their employees, for example, a regulated starting time and finishing time or setting up an attendance bonus. Employers or HR should ask themselves: What do you want the employee to achieve? Is being on time correlated with his core job duties and why?” Wong said. There seems to be an underlying concern for employers in Hong Kong who own a flexible working policy to advocate it to their employees. Hays revealed in its salary guide the majority (33%) of the interviewed employers do not promote their flexible working options to their staff. “Flexible working is suitable for a hectic and stressful city like Hong Kong. From our conversations with talent in various industries and at different stages in their careers, it’s clear that traditional lengthy and punishing work schedules are often a cause for frustration, burnout and turnover,” Vazquez said. Nevertheless, not all roles are configured for flexible working hours or remote work. Chengbao advises companies that have not yet rolled out flexible working policies should carefully consider what roles will still require fixed schedules and set locations where work must be done; have a clear understanding of how productivity and results should be measured; and find the right balance between freedom and flexibility, and productivity and an in-office presence. Apart from this, the parent company for Marlboro shares the success of flexible working is hamstrung by companies’ research and approach. Before execution, Philip Morris Asia’s human resources team, which the company calls the division of people and culture, conducted face-to-face interviews to understand employees’ needs; considered how the company culture could complement flexible working; identified the type of employees that needed more communication; and examined ways to run a smooth transition within a diversified workforce. world is expected to be defined as flexible”. Here are the ten worst things human resources blogger "Bitter HR" has seen candidates do at job interviews. .. The Swedish might have excitedly implemented it, but they aren't "very good at sitting around and doing nothing" claims a career c..